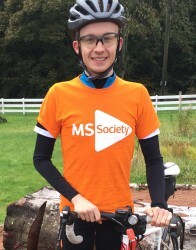 I’m riding the Tour of the Highlands in May raising funds for the MS Society. 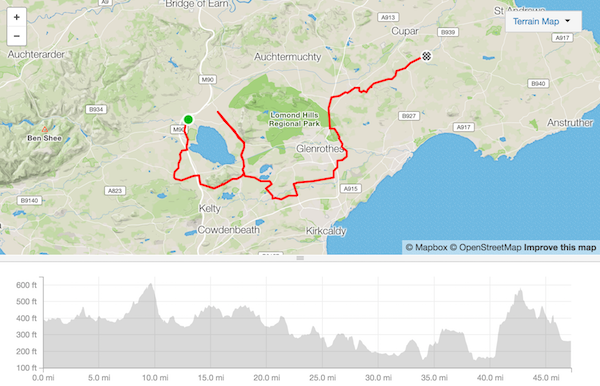 I kicked it all off with a route-art ride in the shape of the letters MS - 103 miles in October. 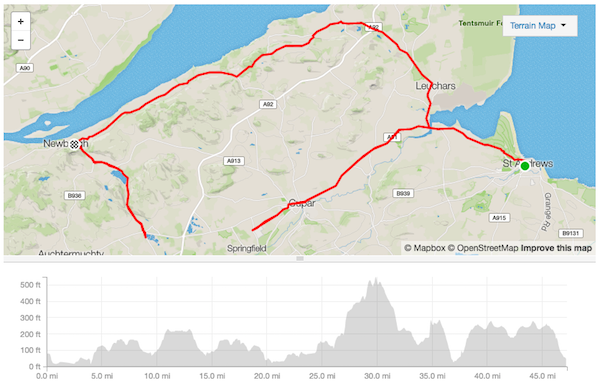 Now I fancy giving a similar route another go, hopefully with a few folk joining me - this time 200 miles. 14th April - We're all good for tomorrow :) Weather looking ok. Due to set off from St Andrews Westport at 5:15am. I will try to tweet progress as phone signal and battery allows! 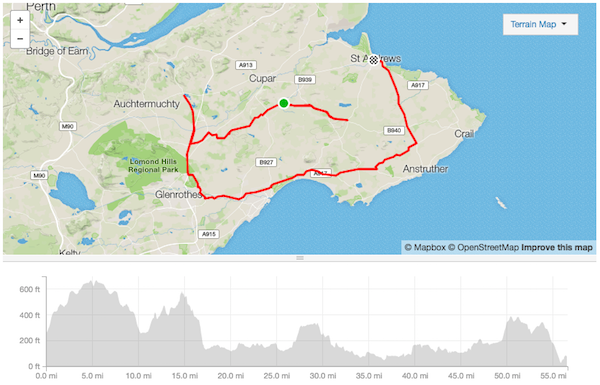 2nd April - Part 1 of the route has been shortened, and part 4 lengthened. 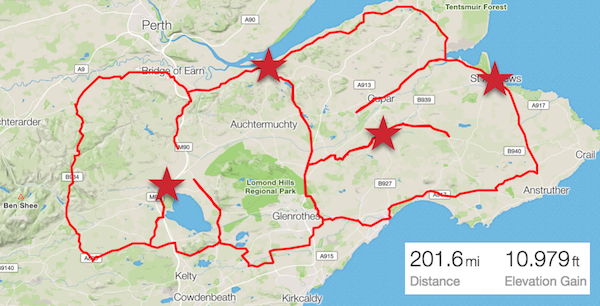 The part 1 double back is now at Collessie rather than Freuchie, and part 4 goes up to Collessie rather than Freuchie. Want to ensure we get round to the final cafe stop before closing time! Depart 5:15am from near the West Port. Buttercup Cafe - breakfast stop - cafe opens at 8am. Planned stop 40 mins. Leave not later than 8:50am. Heaven Scent - lunch stop - cafe may be busy, garden round the back if the weather is good. Planned stop 40 mins. Leave not later than 12:45pm. 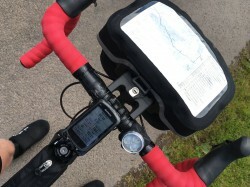 The Villager - afternoon stop - stock up on scones and cake for the final 56 miles. Anyone wishing to join here there is a large car park next to the Fife Folk Museum just around the corner. Planned stop 40 mins. Leave not later than 4:25pm. 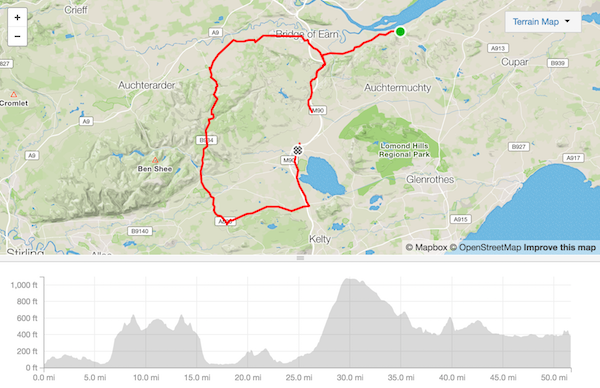 Up to Collessie before tracracing back to Markinch. St Andrews Brewing Company - a well earned pint, and they serve food to 9pm. Gemma, my better half, will be in the car preparing and meeting us at each stop. She will carry some simple spares like inner tubes and a track pump. Or rendezvous with us at one of the stops! Any questions post them up to the Facebook event page, or catch me on Twitter. 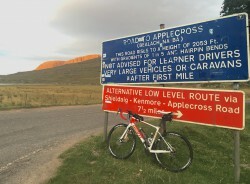 I'm riding this, and the Tour of the Highlands to support the MS Society. I have a close family connection to the disease, and if you are able to donate it would be fantastic.